Confession: I don’t like musicals. At. All. I can name 3 that I actually enjoy…the rest can all jump in a lake. I can’t stand Glee and I know that offends many of you, but I just can. not. watch it. Without gagging and rolling my eyes so hard it hurts. I realize this makes me a traitor to my gender, but somehow I’ve managed to be able to live with that. 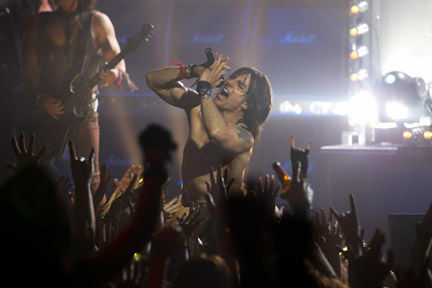 Friday night, I went to see ROCK OF AGES with my girlfriends. I knew full well that it was a musical and I was quite aware that there would be some cheese-tastic moments full of eye-rolling glory, but I was willing to risk permanent eye injury to relive the music of my high school and college years. I wanted to go back to the days of big hair, short skirts, rockin’ concerts, and ripped jeans. And ROCK OF AGES did not disappoint. So I went to see it again on Sunday. Yes. That’s how much I loved this movie. It is funny, campy, cheesy and epic. I never fancied myself a Tom Cruise ‘fan’ (not since Top Gun *fans self*) and especially not since his couch jumping visit to Crazy Town…but let me tell you, I am now, officially a huge fan. He was born to play this role. And he rocked it. Pun intended. 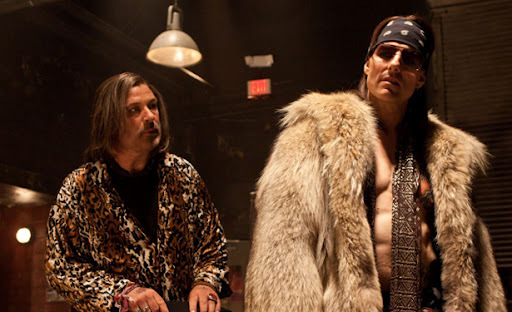 And if I thought I was in love with both Alec Baldwin and Russel Brand before this movie? Let me tell you, I didn’t know what love was until this flick. This movie is to be seen knowing it is a musical. Knowing it isn’t to be taken seriously, but just enjoyed. And even if you’re allergic to most musicals like I am, you will enjoy this movie, especially if you were a teen or in your early twenties in the 80s. This entry was posted in Uncategorized and tagged movies, music, nostalgia, wicked awesome by Just Call Me Mel. Bookmark the permalink.